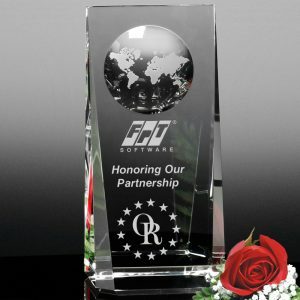 Rewarding fellow dealers for sales accomplishment, dedication to the company brand, or operational excellence is as easy as 1, 2, 3. 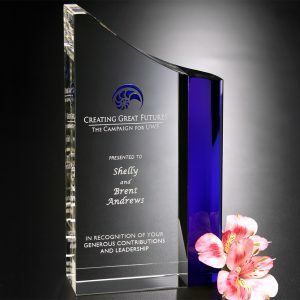 Choose an award that portrays excellence in a way that the recipients will appreciate. Imprint it using multiple options like adding color or a 3D laser engraved design to create depth. 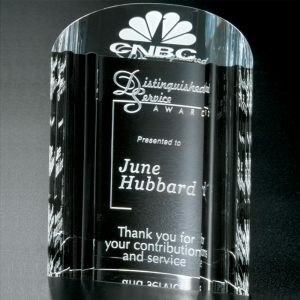 Personalize it with the name of each recipient and a sentiment that will be meaningful. These are the three vital steps to designing an award that a dealer or partner will appreciate for years to come. 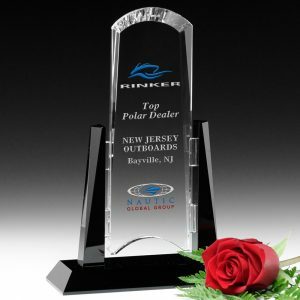 Commonly, awards given to dealers include Dealer of the Year, Dealer Sales Achievement, Dealer Excellence, Top Service Among Dealers, and MVP Dealer. 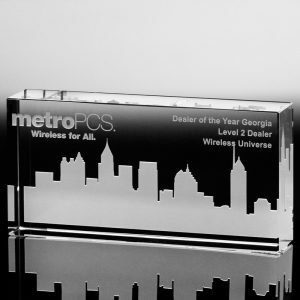 Here are three examples of dealer awards that we recently created for our clients. 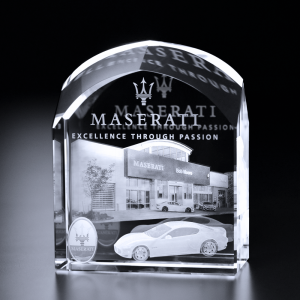 • One prestigious automobile manufacturer developed a dealer recognition award that functioned as a lobby piece, in addition to a recognition award. 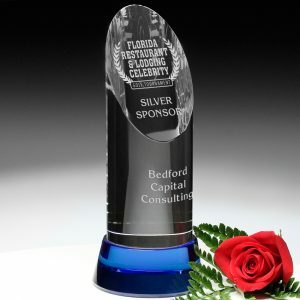 The manufacturer chose the Barrington Award for this special occasion. 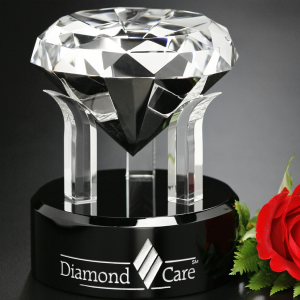 • The Diamond Care organization gave the Radiant Diamond to their dealers for their effort to represent the Diamond Care brand in the most authentic way possible. 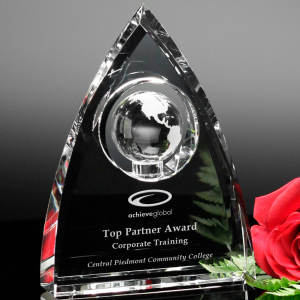 • The Achieve Global Group honored their top partners for excellence in corporate training using the Coronado Global Award, because the globe represented its brand.